The annexation of the Crimea by the Russian Federation forced the Ukrainian banks to leave the peninsula and, as a result, to think about selling the “Crimean” loan portfolio. Some Russian banking institutions show an active interest to the Crimean debts. 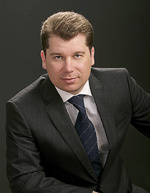 Our company has already provided legal advice in several transactions for the sale of debt portfolios to the Russians. However, the Russian bankers are ready to redeem a loan portfolio at 10s percent discount. Therefore, the Ukrainian banks and other lenders more and more often prefer to collect money from debtors themselves. It is no secret that some of the Crimeans and local companies decided to use closedown of the Ukrainian banks on the peninsula as an excuse not to pay their debts. Many Crimean borrowers keep low profile: observe and analyze how the Ukrainian banks “knock out” debts from the inhabitants of the peninsula. Regretfully for them, but “crowding out” of Ukrainian banks from the occupied territory does not mean termination of the borrowers’ obligations, especially when it comes to borrowers with collateral. Certainly, the Russian legislation allows foreign banks to recover citizens’ debts in courts. Firstly, it can be done by obtaining court decisions on the mainland Ukraine and their further recognition in the Russian Federation. We have already filed the first such application for recognition and enforcement of a Ukrainian decision against the Crimean debtor and his guarantor to the Crimean court. Honestly, a positive result is difficult to guarantee. There is another way − directly through the Russian court. For this, financial institutions shall first enter data about pledges in the Russian Register of encumbrances, and then file the appropriate lawsuits to the Russian courts for the recovery of debts, including on account of mortgage. This is a legitimate (according to Russian law) method of influence on the Crimean borrowers, most of whom have become residents of the Russian Federation. To protect the Ukrainian interests we have recently opened an office in Simferopol and such service is very marketable. The Crimean debtors’ argument that banks have left without returning deposits, so they do not have to pay – is groundless. Crimean investors of the Ukrainian banks can count for return of their money. At present, none of the Ukrainian banks previously operating in the Crimea has ceased its existence, they just shut down their branches across the peninsula. Therefore, each Crimean investor may contact the head office on the mainland. If a bank refuses to refund money and interest according to the terms of the agreement, the investor has the right to file a lawsuit to the Ukrainian court at the financial institution registration. After the Ukrainian banks have left the Crimea, the financial sector of the peninsula has a kind of gap. Large Russian banks do not hurry to open branches and work in the Crimea. All the big players of the banking market work with global systems (VISA, MasterCard, etc. ), and are parties to the international money transfer system. Every self-respecting bank understands risks to itself and its clients and does not want to run into sanctions. The position of small banks, which worked only in Russia and have no correspondent relations with foreign banks, is quite different. These banks have a chance to increase the number of their clients on account of the Crimean population. One of the key issues, which the lawyers representing the Ukrainian banks and enterprises with the Crimean assets will soon have to deal with, is compensation for damage caused as a result of the peninsula annexation. For example, as an asset manager of “Feodosia Shipbuilding Company “More” I have drafted a number of claims on illegal nationalization of property of the Ukrainian enterprise in the Crimea. However, clearly it will be difficult to achieve a positive result. All claims will be considered by the Russian courts, which are under the influence of the Kremlin dictatorship. Therefore, appealing to the European court of Human Rights will be the only effective mechanism to protect the violated rights. Though in this case you will first have to go through the whole judiciary vertical in Russia. I think that on average it will take at least five years to obtain a judgment in Strasbourg.